Obituary – Lawrence, Isabell Rachel (Vester) « Perry High School Alumni Association, Inc.
Red Hots ’59-’62, Glee Club ’58-’59, All School Review ’59-’60, Christmas Vespers ’59-’60. 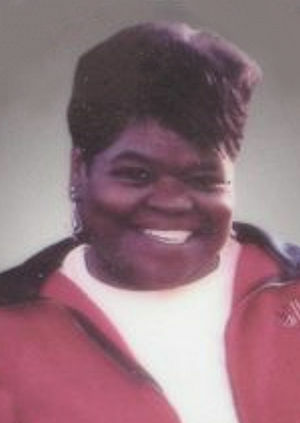 Isabell Rachel (Vester) Lawrence, 58, Perry, Oklahoma, was the daughter of Eddie and Rachel (Rhone) Vester. She was born at Perry, Oklahoma, on November 11, 1943, and died early Saturday, August 18, 2001, of injuries received in a traffic accident near Lebo, Kansas. A graduate of Northern Oklahoma College at Tonkawa, she had been employed as a teacher at the Christ Lutheran Learning Center. She and Johnny B. Lawrence were married at Stillwater, Oklahoma. 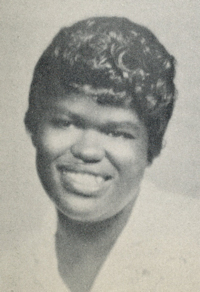 In addition to her husband, survivors are four daughters, ShuWanda Bennett and Shelli Smith, both of Oklahoma City, Oklahoma, Akesha Lawrence, Perry, Oklahoma, and Latonage Kelley and her husband, Elijah, Seattle, Washington; two sons, Andre Ramon Gissandaner and Fredrick Lawrence, both of Enid, Oklahoma; her mother, Rachel Vester, Perry, Oklahoma; 13 grandchildren, one sister, Wanda Rhodes and her husband, John, Oklahoma City, Oklahoma; three brothers, Basil Williams and his wife, Leota, Wichita, Kansas; Lawrence Vester and his wife, Diane, and Clarence Vester, all of Perry, Oklahoma; and numerous nieces and nephews, aunts and uncles, cousins and friends. Her father, one son, two brothers, one daughter and two grandchildren preceded her in death. Funeral will be at 2:00 p.m. Saturday, August 25, 2001 at the First Baptist Church in Perry, with Rev. Willie Anderson officiating. Burial will be in Grace Hill Cemetery under direction of Brown-Sisson Funeral Home. Memorials may be made to the charity of the donor’s choice.